I try to post photos on a regular basis on my blog. It’s sometimes just one photo, and sometimes several on one subject. The subjects depend on where I am and what I am working on. Come back and visit often or subscribe to get an email whenever I post something new. Hard to guess what the first photo is until you see the second one, no? 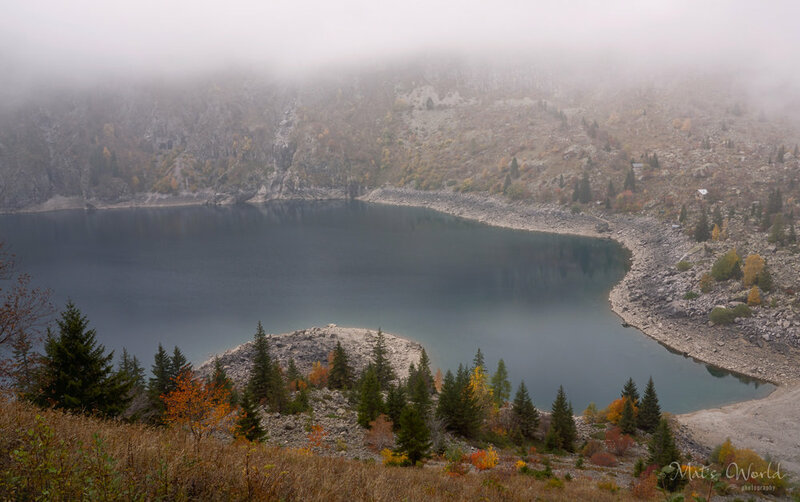 This is Le Lauvitel lake, in the Alps, from above, on a foggy day.